Milwaukee Tool Acquisitions U.S. Based Empire Level! Just announced is the acquisition of Empire Level by Milwaukee Tool! As we have seen Milwaukee expand their vision of disruptive innovation beyond just power tools, we can expect that they have big plans in the measurement and layout end of the industry. Empire Level is located in Mukwonago, Wisconsin (Yeah, I had to say that several times out loud to try and get it right, too). According to information we’ve received directly from Milwaukee, Empire Level is the leading manufacture of levels, squares, layout tools, and utility tape in the United States. One thing that I love about this announcement is that it is yet another example of US based manufacturing and quality being brought to the national and even worldwide spotlight. Empire Level was founded in 1919 by Henry Ziemann. The company features a history of innovation that, like Milwaukee, they are are very proud of. In fact, it was Empire that invented the modern level as we know it. They also lay claim to the innovation of the Torpedo Level, the Mono vial, the magnetic level, and the very first extruded aluminum rafter square. They currently hold more than thirty patents for their innovative work. Here are Pro Tool Reviews, we’re excited about this acquisition and are looking forward to the combined innovative forces of Milwaukee Tool and Empire Level. 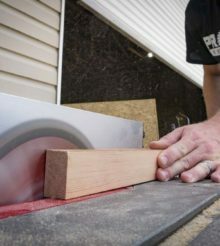 For the latest product previews, reviews, and news make Pro Tool Reviews your home page or follow us on Facebook and Twitter! They should take some of that cash and invest in some R&D to sell a lithium battery that isn’t junk below 40 degrees. More US jobs being shipped to china!